HCFoo's Tennis Blog – Tennis Celebrity Photos, News, Gossip and More! : Gilles Simon - Robert Pattinson: Separated at birth? 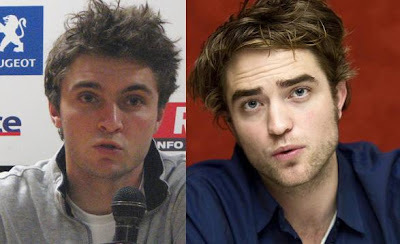 Gilles Simon - Robert Pattinson: Separated at birth? This is not a new topic but I thought 'madeinburma' in MTF did a great job with these comparison photos.